I have always loved reading and hearing about the Amish life. There are several reasons for this. I grew upon a farm in Indiana. My parents became Christians when I was five. With no one to guide her in her walk, my mother decided it was better to err on God’s side. Board games, dancing of any kind, and most television shows became off limits or a sin. My books and comic books were scrutinized. My mom’s first question whenever I told her about a new friend was, “Are they a Christian?” I had few friends growing up because they did not fit into my mom’s “category” of what a Christian was. I worked on the farm just as the Amish do. When we moved to Florida I learned that what we called a garden the people down here called a truck patch or small farm. I learned how to can and freeze fruits and vegetables. We smoked our own meat. In the winter we filled a concrete tub in our ‘milk house’ up with snow and put perishables in it. It was a tough life yet one I miss. It may be these memories that have always drawn me to Amish fiction. I can see so many parallels. 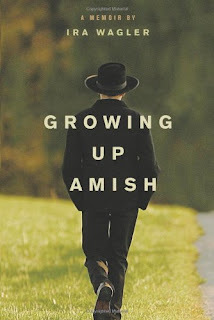 I was thrilled to read Ira Wagler’s book Growing Up Amish. 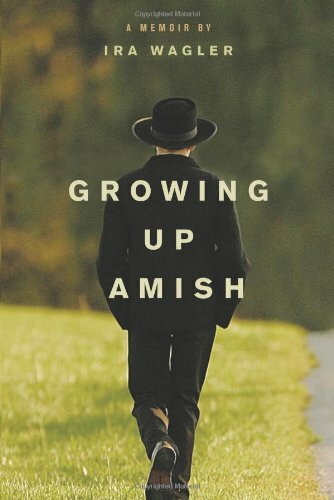 In this book we get a look at the “real” Amish. Not the ones so often written about in romance novels, which make the Amish come across as a people who do, or think no wrong. We find a man who has struggled to find where he truly belongs. He wanted to be a part of the Amish world he was born into, yet felt it was not for him. At age 17 he left his Amish home in Iowa. He later returns, and must admit all of his sins to the congregation before he is allowed to join the church. He tries, but still doesn’t seem to feel as if he is where he should be. I can only imagine how difficult it must have been to once again make a decision to leave his Amish life. He subjected himself to this pain many times before leaving for good. The pain of being shunned by everyone you know is hard enough. Their belief is if you left the church then your soul was headed for damnation. I was happy to learn that Ira finally asked God about his situation and got an answer. He found salvation outside of his Amish culture. Unfortunately it is not only the Amish that are like this. We see this in many denominations. They become so legalistic that it seems they forget what Jesus was all about. I thank God each and every day that his love for us is not based on a set of laws. We see where that got people in the old testament. This book is a great look at the Amish. However, I believe the message I it is clear. We all need to take a look at our lives and ask if we are where God wants us. If not then maybe we need to talk with him to find out where he wants us to be. I do find it funny when I think about how they try to separate themselves from the English. When we get to heaven Go is not going to separate us, say, “You Baptist over there and You Amish over here. We who have found salvation through Jesus blood are all God’s children and he has prepared a home for us in heaven, together. This is a must read book for anyone who enjoys learning about the Amish.